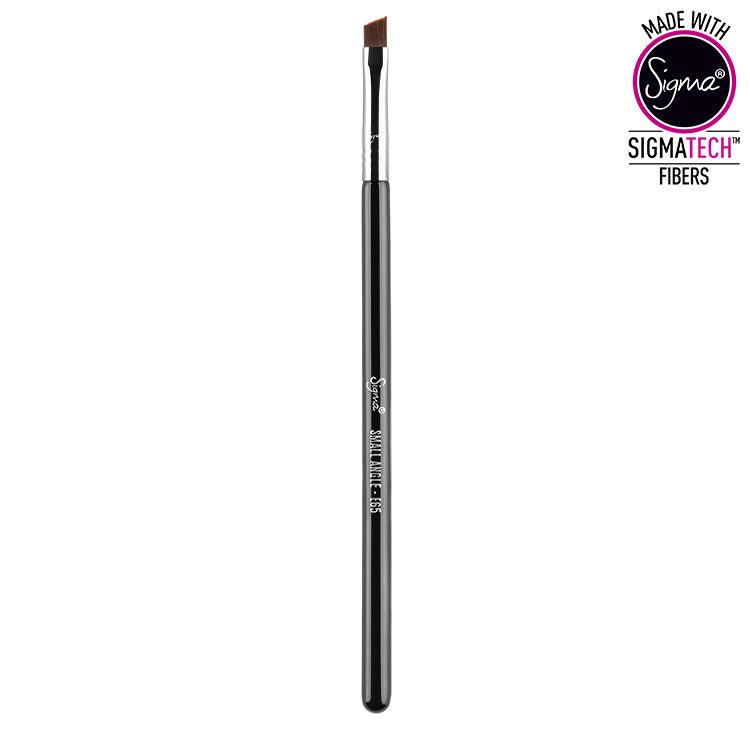 The E65 Small Angle features a sharp, slanted edge with synthetic fibers to create a smooth and even application of product to create the perfect line for controlled winged liner, if desired. A beautiful, fine brush for using with gel liners. I always get a nice precise line. Fantastic brush. Gel liner tends to dry and harden very quickly on bristles of other similar brushes I own (non-Sigma), but this brush remains soft, giving you more time to work. 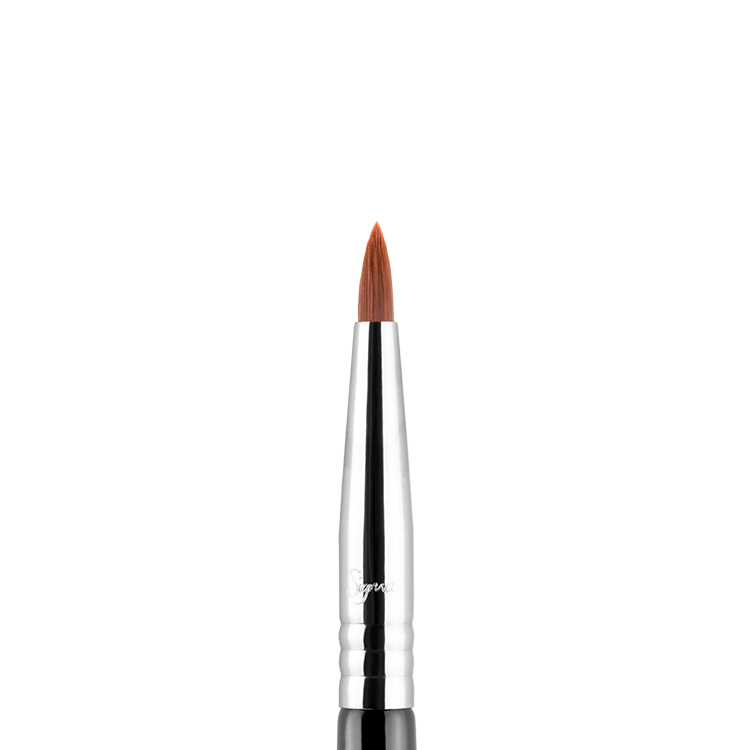 It really keeps its shape well, and I’ve also used it for brows. 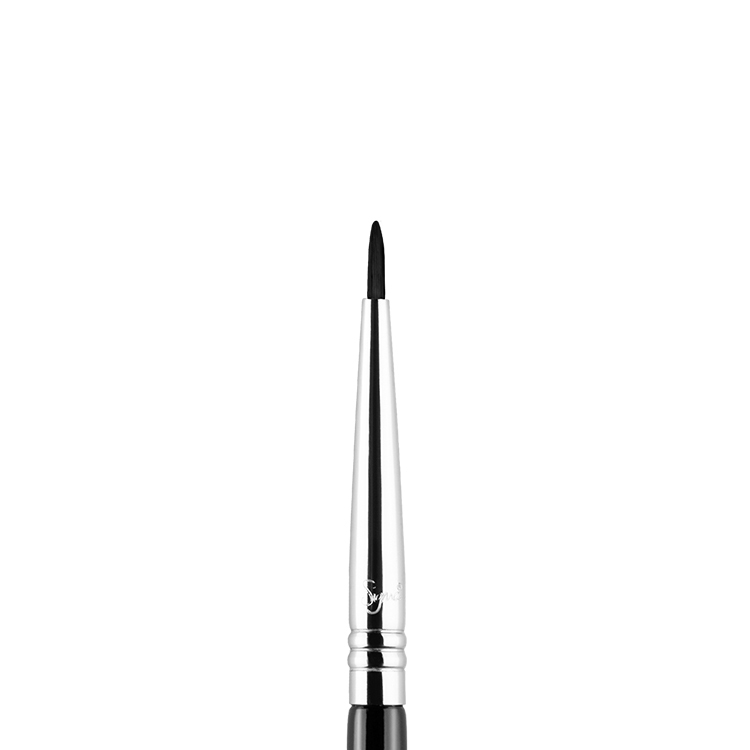 I never use to be a liquid eyeliner fan but after purchasing this I get great results! 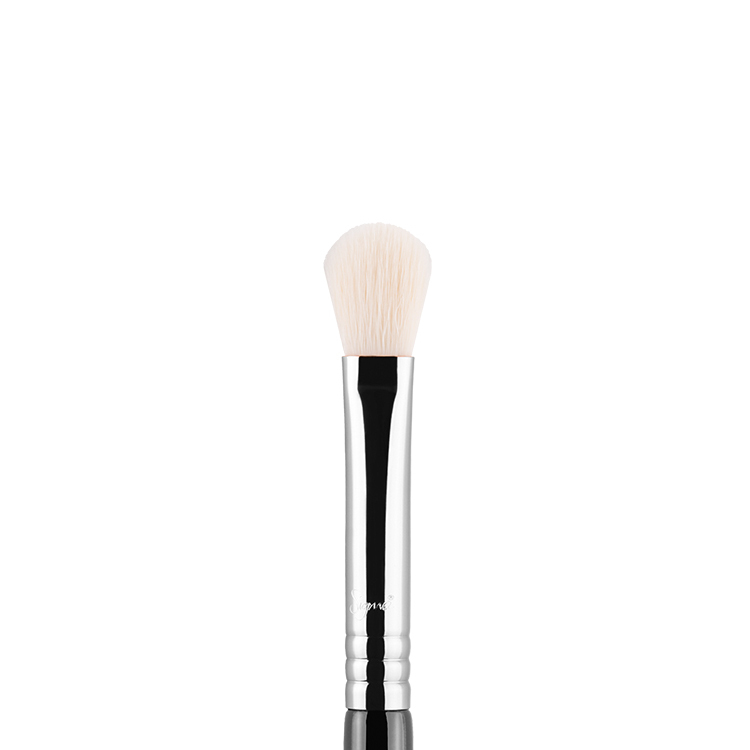 The brush has firm bristles so you get great definition and precision. 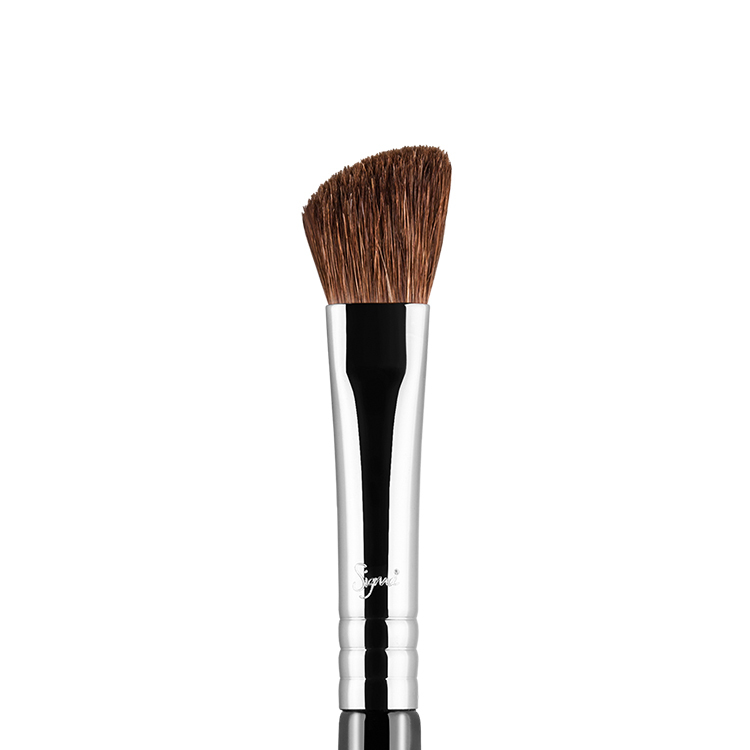 The angle of the brush is perfect for doing winged eyeliner, it’s a must for your makeup kit if you want perfect eyeliner application! This is a fantastic brush! It’s so versatile. 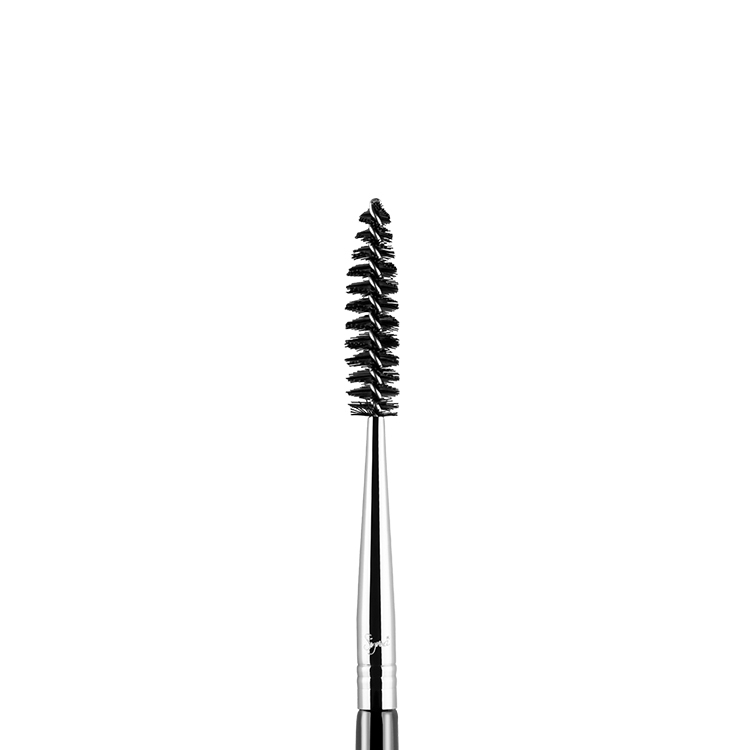 You can use it for brows, eyeliner, concealer around the eyebrows for really crisp definition if you want. 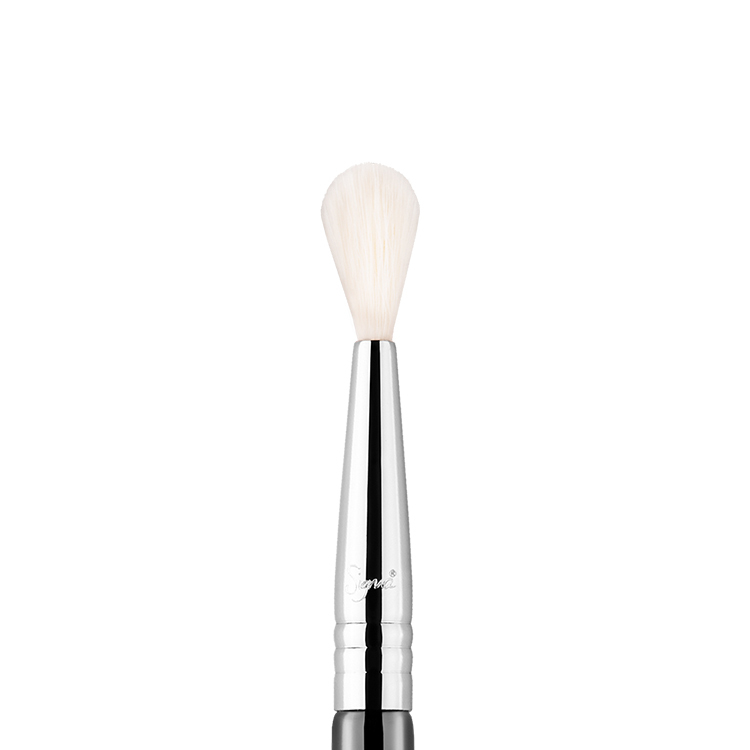 It’s great for beginners because the bristles are stiff and taper off to a thin line which is great for practicing your eyeliner application since your eyeliner won’t stray. I love using this to apply eyeliner. Such a great brush. I have three of these brushes in my kit and I love them for eyeliner. They are thin and sturdy but still soft so you can get a very thin line with them. I can also them for brow powder!